Mayor of Moscow Yury Luzhkov is in contention to become Russia’s new ambassador in Kiev – despite being banned from entering Ukraine last month. His name is among several candidates being considered for the post, according to the Russian news agency Novi Region. The news comes ahead of the expected resignation of present incumbent Viktor Chernomyrdin. 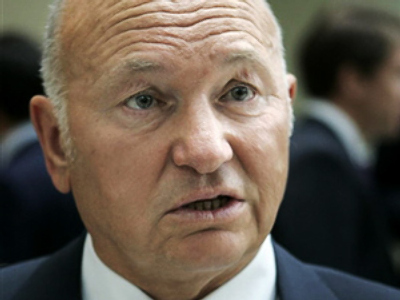 If Luzhkov is appointed, it would create a headache for Kiev. Luzhkov has repeatedly said he believed Crimea should be Russian territory rather then Ukrainian. Ukraine’s Security Service banned him from entering the country in May due to his statements. Chernomyrdin has been Russia’s top envoy to its western neighbour for seven years. Russian newspaper Nezavisimaya Gazeta reported that his resignation was imminent after the failure to get Kiev’s permission for a military parade during the anniversary celebrations of Sevastopol – the base of Russia’s Black Sea fleet. The newspaper also hinted Moscow was unnerved by Chernomyrdin’s ties with Ukraine Prime Minister Yulia Timoshenko. Her relationship with President Viktor Yushchenko is now at a new low because she is regarded as his most powerful challenger for the upcoming presidential election. It’s believed the apparent sympathy the Russian diplomat had towards Timoshenko hurt his ability to deal with Yushchenko. The name of Chernomyrdin’s successor is still under discussion. Moscow wants an adequate response following the appointment of Ukraine’s new ambassador in Russia last week. He is Konstantin Grishchenko, a very experienced career diplomat, and Chernomyrdin called his appointment a very strong move.